C sounds fine as it is. D wants to resolve either down to a C, or up to E.
F wants to go down to E.
A wants to go down to G.
B wants to go up to C.
Is that how you hear it? 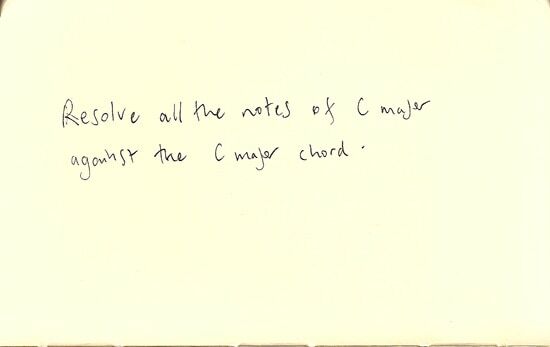 If you change the chord a bit you alter how the notes feel against the chord. E.g., make the chord C∆ and a B played against it will lose a bit of its urgency to resolve up to C. And a high C might sound not so fine now. How do you hear that?